Kick off your visit on the 25th (Sun): get in on the family fun at Sea World Theme Park and then make a trip to Rotary Carousel Broadbeach. 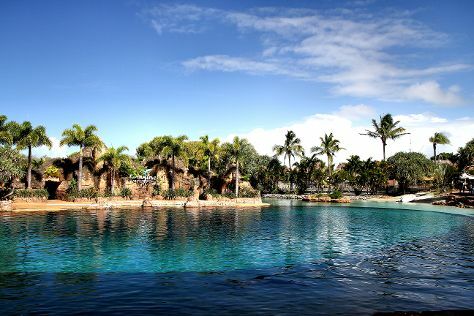 Here are some ideas for day two: get in on the family fun at Warner Bros. Movie World, tour the pleasant surroundings at Surfer's Paradise Beach, and then get in on the family fun at Infinity Attraction. To find where to stay, traveler tips, more things to do, and tourist information, you can read our Gold Coast day trip planning tool . Kuala Lumpur, Malaysia to Gold Coast is an approximately 12-hour flight. You can also do a combination of flight and train. Traveling from Kuala Lumpur to Gold Coast, you'll lose 2 hours due to the time zone difference. Traveling from Kuala Lumpur in November, expect Gold Coast to be little chillier, temps between 30°C and 20°C. Finish your sightseeing early on the 26th (Mon) so you can travel to Sydney. Sydney is known for nightlife, trails, beaches, parks, and museums. 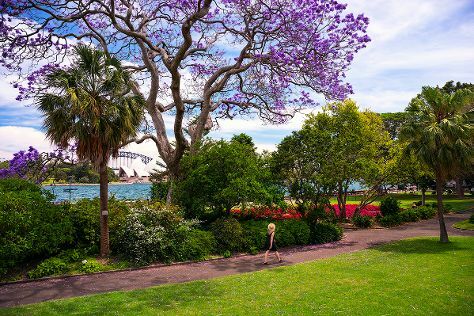 Your plan includes some of its best attractions: take in nature's colorful creations at The Royal Botanic Garden, snap pictures at Sydney Harbour Bridge, kick back and relax at Bondi Beach, and wander the streets of The Rocks. To see traveler tips, photos, and more tourist information, go to the Sydney trip itinerary planning tool . Traveling by flight from Gold Coast to Sydney takes 3.5 hours. Alternatively, you can do a combination of train and flight; or drive. In November, daytime highs in Sydney are 29°C, while nighttime lows are 19°C. Finish up your sightseeing early on the 30th (Fri) so you can travel back home.